My first awareness of Ub Yifu came during the 2009 Burning Life. We were still calling it Burning Life, and not Burn back then, and I still recall the sense of wonder I experienced upon encountering Ub’s Gulliver installation. “How did he do that?” was the question everyone asked upon seeing his larger than life Gulliver, tied to the playa. I was thrilled and surprised to find that Ub Yifu was doing a designer build right next to my team’s camp. For those who don’t know: Every year for Relay for Life most teams build a campsite, but some residents are invited to do a build on the annual theme (this year: 100 Years of Hope), and these are called Designer Sims. As soon as I realized that Ub was our neighbor, I ran over and asked him for an interview. He could not have been more pleasant. SL Newser: How did you find out about Second Life™? What has kept you here? Ub Yifu: I first heard about Second Life™ in 2007 on French TV. They were saying that anybody could build anything in 3-D there, so I wanted to try[smiles]. And… guess what? It was true! So, I got addicted to building things and haven’t stopped for six years now—starting from the basic prim to mesh now. 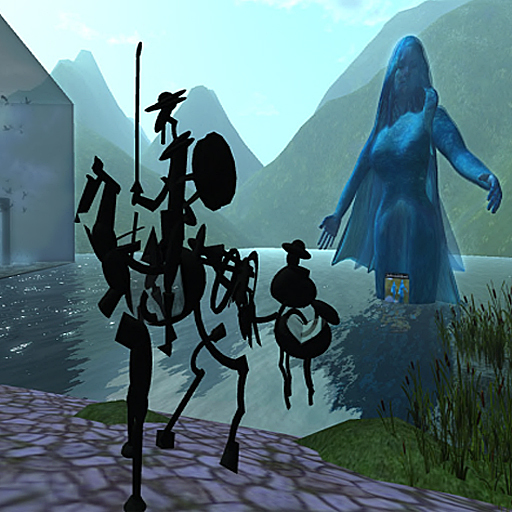 SL Newser: How did you come to make statues in Second Life? SL Newser: Tell me about your workflow. 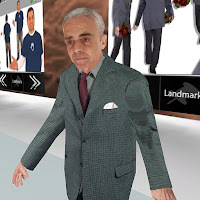 How do you go from an idea to a three dimensional Second Life™ object ? What tools do you use? Ub Yifu: I usually start from pictures and use several 3-D software programs to do the shapes I want. Now meshes are changing the game, and open many windows to 3-D creation. 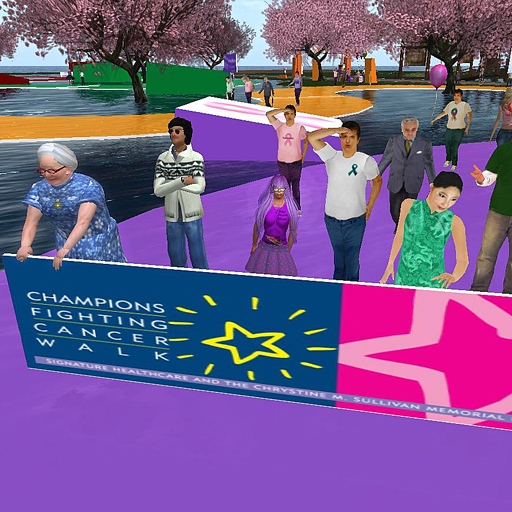 SL Newser: How did you arrive at your concept for the build you have made for Relay for Life? 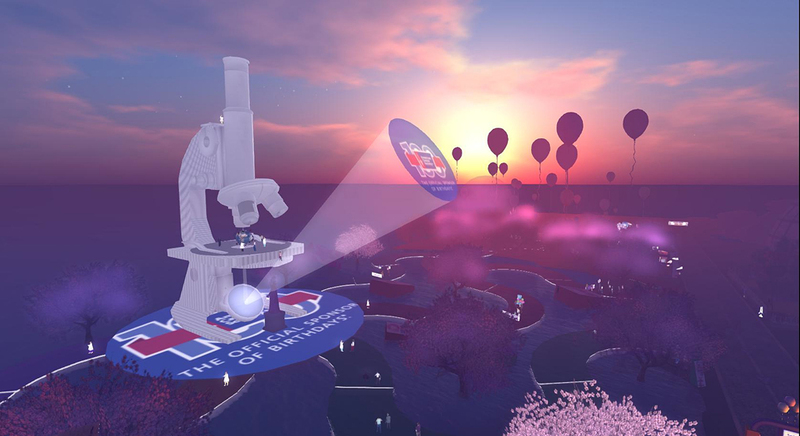 SL Newser: What would you like the rest of the world to know about Second Life™? Ub Yifu: It’s really a place where you can make your dreams come true, especially for people who like to be creative. SL Newser: What other plans do you have for the future? Ub Yifu: I’m working on new mesh statues all the time now, and the new thing on my sim is the exhibition of a new Flickr artist doing Second Life™ pictures every month. I found a great community of creative people there and I’m glad to share some space with them. During July 2013 come see Bamboo Barne’s pictures. I could not agree with Ub any more. I went to the sim where he has his gallery, and ended up exploring and playing in his Gallery for over an hour. Ub Yifu’s Relay for Life build is a colorful series of paths that lead to a giant research microscope. There are also rides to play on, and multitudes of settings for taking of pictures. As the sign in the playground there reads: Imagine a world without cancer. Ub Yifu also does custom work, and can recreate your avatar as a three dimensional sculpture.